Gary M. Gilbert is an attorney, consultant, and mediator specializing in the area of employment discrimination law. 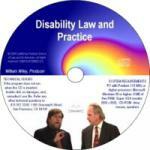 He has lectured and written extensively on various aspects of employment law. He is a former Chief Administrative Judge with the U.S. Equal Employment Opportunity Commission. In his sixteen years as an administrative judge with the EEOC, he presided over hundreds of employment discrimination complaints and supervised the case management of thousands of others. He served on numerous workgroups and committees while with the EEOC, and had substantial input into the Commission�s regulatory reforms enacted in 1989, 1992, and 1999 and the accompanying changes to the Commission�s Management Directives to federal agencies. While with the EEOC, he also provided substantial input into the Commission�s guidance and regulations on the American with Disabilities Act and he was one of three individuals responsible for developing materials and training all Commission lawyers on disability law after passage of the ADA. Prior to his appointment at the EEOC, he worked for Florida Rural Legal Services, Inc., where he litigated a variety of cases including employment matters, and directed one of the largest pro bono legal programs in the country. He also served for four years as the legal assistant to the Secretary of the Nuclear Regulatory Commission. 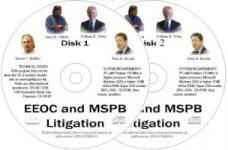 He is a frequent speaker on employment matters, appearing at conferences such as the annual Federal Dispute Resolution Conference and the annual EEOC�sponsored EXCEL conference. He has been called upon to provide training for lawyers, non�attorney representatives and other employees at many federal agencies. Mr. Gilbert�s law office is located in Silver Spring, Maryland. He is also a partner in the management consulting firm of Vitaro, Goodfriend & Gilbert. He is a graduate of the University of Maryland School of Law and is admitted to the bar in the states of Maryland and Florida. He lives in Silver Spring, Maryland with his wife, Diana, and has two daughters, Michelle and Stacie. Mr. Gilbert can be reached at gary@ggilbertlaw.com. 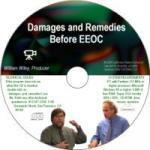 Save 25% on both the Broida & Gilbert on EEO Advocacy and Representing Agencies and Complainants Before the EEOC. Use the drop down box to select the discount.